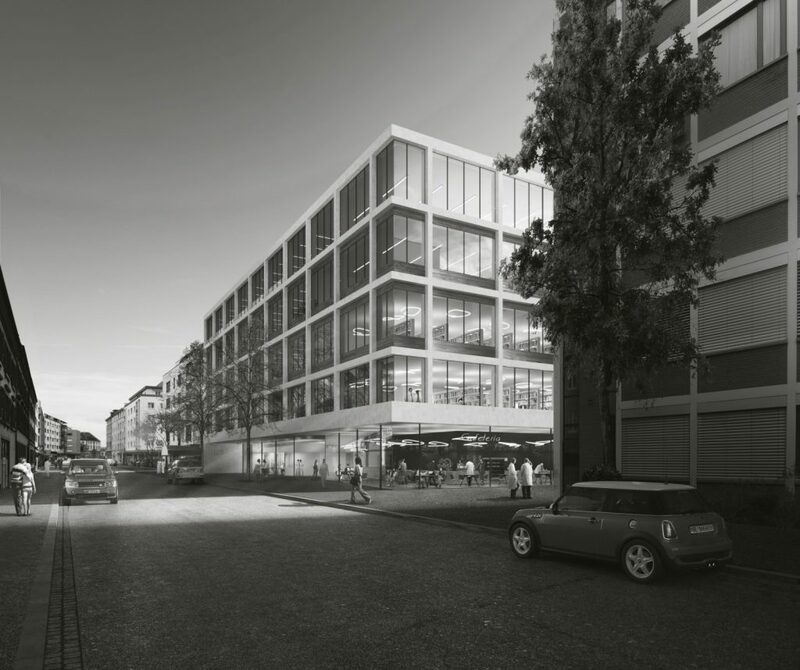 The new University of Basel Center for Dental Medicine and Environmental Sciences is located in the midst of a heterogeneous urban development setting and will form the initial, identity-defining building block for the Rosental development area. The building typology follows the basic principle of creating a mediating urban development form that responds with sensitivity to the dynamic surrounding conditions. At the same time, links result that make the site permeable, create important campus connections and allow optimal organisation of accesses and approaches without culs-de-sac. The break-up of the ground floor volume creates interesting sightlines and a visual connection between the livelier city side and the quieter interior courtyard. The basement, containing the seminar and lecture theatre area and an expansive foyer arranged around a light well, can be accessed from the courtyard. A strict separation of patients from students and staff is immediately readable in the arrangement of the two entrances. Students, teachers and staff reach every relevant area on all floors via the internal circulation core. The façade references the materials and structure of the existing building, but reinterprets them in a contemporary manner. 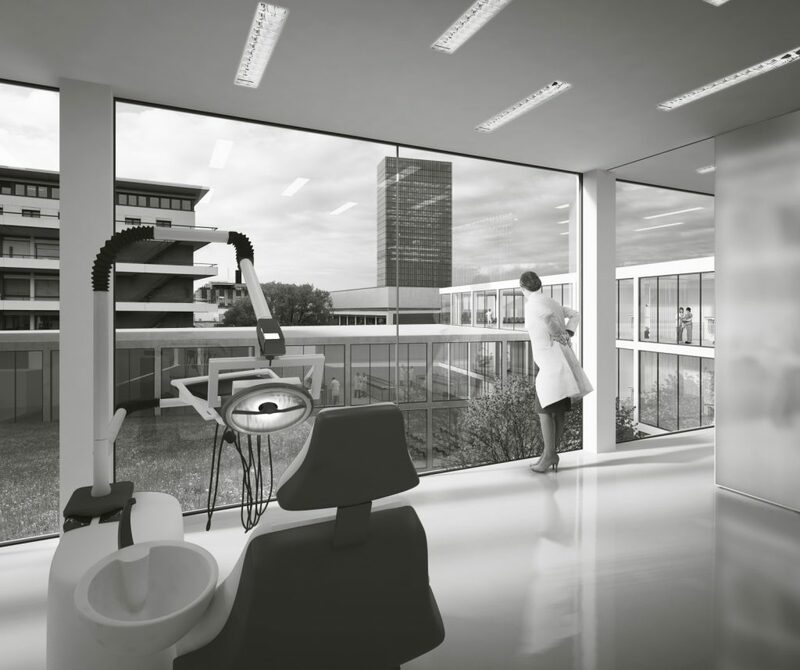 Its calm, solid presence lends the new building high recognition value while the functional composition and inviting atmosphere make it an innovative place for patient care and student learning.